The most advanced treatment options for a variety of eye conditions are provided by Dr. Johnson. Glaucoma treatment is provided using the SLT Laser. In addition, cataract extraction, using the most advanced intraocular lens implants that are manufactured today, is provided. The cataract surgery offered by Dr. Johnson is less invasive compared to years ago, and is generally approached as an outpatient surgical experience. Dr. Johnson also offers relief to local patients whom have "droopy eyelids". Ptosis repair corrects and tightens the muscles within the eyelid(s), and increases visual capabilities for the patient. This enhancement and correction of the visual field is a noninvasive outpatient surgery. Because of his academic achievements, Dr. Johnson entered medical school after three years of undergraduate training. Dr. Johnson, who ranked top of his class, graduated from Wayne State University School of Medicine in 1989. He attained academic honors during all four years of attendance, including the Academic Achievement Award in 1986 and 1987. Dr. Johnson was awarded these achievement awards for attaining the highest academic performance in his class. In 1993, Dr. Johnson completed his residency training at William Beaumont Hospital in Royal Oak, Michigan. He established Blue Water Eye Care Associates, P.C. the same year. 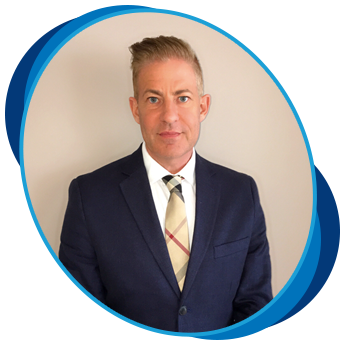 Dr. Johnson is a member of the St. Clair County Medical Society, Michigan State Medical Society, Michigan Society of Eye Physicians and Surgeons, American Academy of Ophthalmology, and the American Board of Ophthalmology. He serves on the staff at the Lake Huron Medical Center in Port Huron. Most outpatient surgeries are performed at the Lakeshore Surgical Center in Fort Gratiot.